09 Feb Liven Up Fundraisers with a Mobile Game Truck! Fundraisers are an integral part of the community, and a Buckeye mobile game truck could be the ticket to your fundraiser’s success! More schools and community groups are holding fundraisers than ever before, due in part to various funding cuts. Whether it’s a fundraiser for your daughter’s Girl Scout troop or your son’s football team, a mobile game truck can be a great way to keep kids entertained during the event. 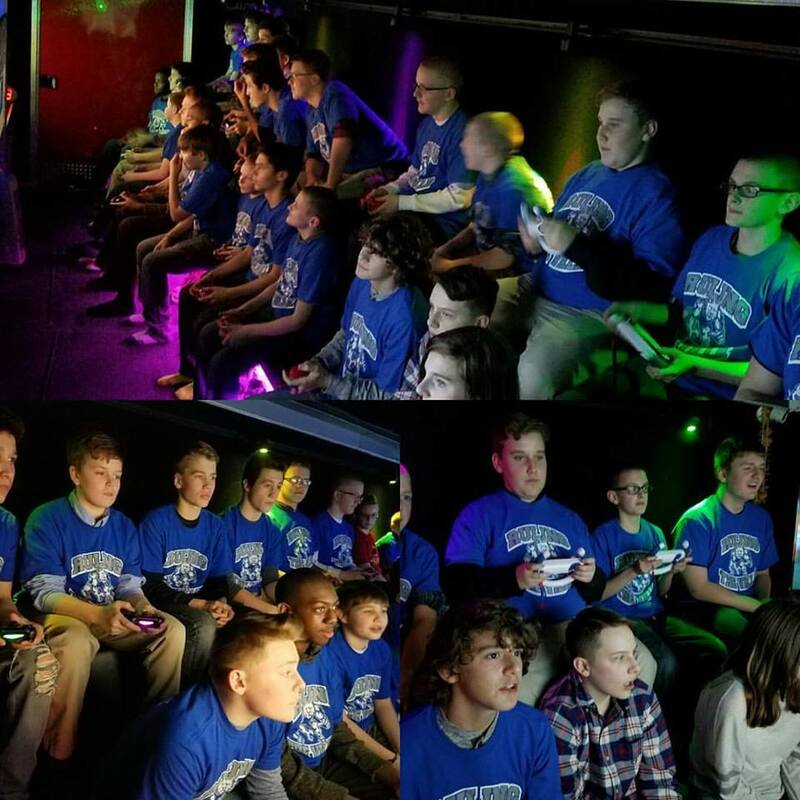 With its limo-style interior and climate-controlled environment, our mobile game truck is a great choice for events any time of year. Ohio’s weather can fluctuate wildly, so why not choose an activity that you know will be a winner, rain or shine, snowy or warm? Our truck isn’t just an opportunity for kids to play video games at the event. It’s also a huge crowd-pleaser thanks to our interior and exterior lasers and under glow lights! Kids love the light show, and it makes the mobile game truck an immediately noticeable and popular attraction. And there’s no worry that the kids might be bored with outdated games, either, as we have the best selection. We have the best and most recent consoles, including the Wii and Wii U, Xbox 360 and Xbox One, and PlayStation 4. Naturally, there are more than enough controllers to go around as well, so that we can make full use of our five enormous 3D/HD television screens. Twenty players can play at the same time, and there’s still room for ten more to watch the fun! 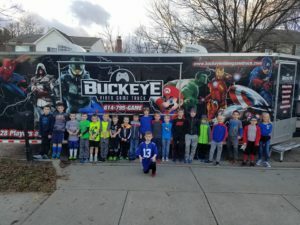 If you’re interested in hiring Buckeye Video Game Truck for your fundraiser, contact us for more information about events and pricing! Whether you’re raising money for a school club or throwing your own video-game-oriented birthday party, we can help you out! We’ll be happy to answer any questions you have about our service up front.